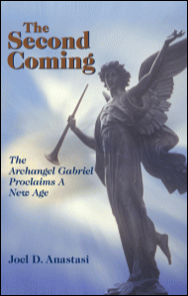 In this in-depth and intriguing interview, Joel D. Anastasi has transcribed wisdom received from the Archangel Gabriel, who communicated to Joel through trance channel, Robert Baker, his spiritual advisor. Working from hundreds of pages of interviews, Anastasi not only shares Gabriel’s wisdom on great spiritual themes, but also provides Energizing Exercises to prepare you for the awakening of the soul. If there is a more comprehensive and finer book on metaphysical subjects I haven’t seen it! A fascinating read from start to finish and remarkably significant for our troubled times. A conscious raising revelation in every chapter. It tells an entirely new creation story. Much more credible than the ones we’ve been raised on. You owe it to yourself to be enlightened by this revelatory new book. Although there was some repetition in the beginning, I found it to be a fascinating book, allowing the reader to examine their own faith. It chose the most controversial of subjects, addressing many issues and beliefs of our time. If you want to challenge your thought processes, read this book! I just wanted to take a moment to share how insightful, clear and enhancing this book will be for those who get it. If the world was only caught up to the level of consciousness presented in this book, we would all know a different level of peace, balance and connection. Joel’s choice to share the simplicity of conversations with Gabriel allows you to feel like you are right there. Joel asks the questions that have nagged every person in one way or another. Why are we here? How can we make our lives better? How does creation actually work? I encourage everyone to get a copy and to share it with everyone you believe is ready to stretch into clearer answers about their lives!